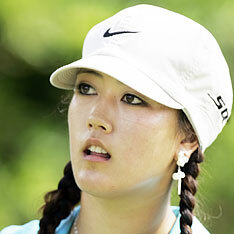 Michelle Wie was offered a sponsor invitation to the Kraft Nabisco Championship yesterday, among seven pros and six amateurs invited to the first LPGA Tour major of the year. Tournament director Terry Wilcox said Wie will be making her fifth appearance, although that was not confirmed by her family. The six amateurs who received invitations included U.S. Women's Amateur champion Kimberly Kim, who grew up in Hawaii and now lives outside Phoenix. Four boxers will defend their USA Boxing Hawaii State/Regional Championships on Feb. 16 and 17 at the Palolo Gym. Two-time state champions Isaac Arasato (132-pound division) and Filipo Toelau (178) and reigning champs David Tangjian Jr. (119) and Amadeo Ezzo-White Jr. (125) are among boxers in all divisions trying for a spot at the U.S. Championships to be held at the Olympic Training Center in Colorado Springs, Colo., in June. Quarterfinalists at the U.S. Championships advance to the Olympic Trials in August. Admission to the Feb. 16-17 state championships is $10 at the door.